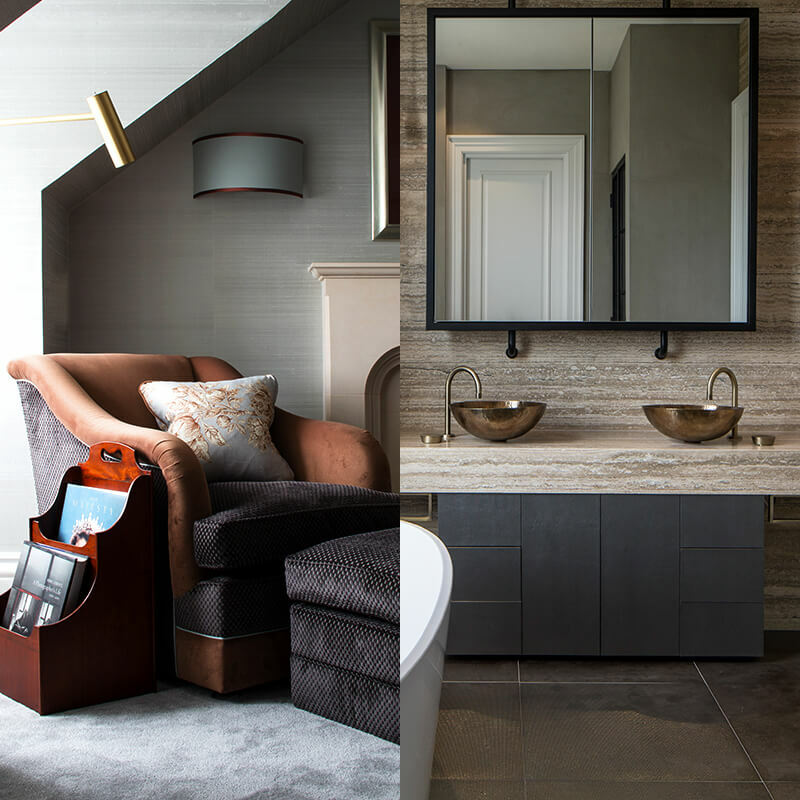 Welcome to Roselind Wilson Design, an award-winning, luxury interior design and interior architecture studio based in Queen’s Park, North West London. Stepping into our light-filled, loft space studio, you’ll find a dedicated, passionate team working harmoniously to design outstanding homes, stunning hospitality interiors and beautiful spaces that reflect the lifestyle of our discerning clients. Our studio houses a dynamic team of experienced interior designers, architectural designers and luxury experts. This pool of diverse talent means we can offer specialist areas including residential and hospitality interiors, furniture design and interior architecture. In addition, we have an extensive supplier database and long established relationships with highly skilled craftsmen, giving us the scope to utilise new techniques and interesting materials. Nothing beats the feeling of stepping into a five-star hotel room and being enveloped in a sense of luxury, comfort and indulgence. Here’s our guide on how to bring hotel-inspired design into your own home.